Sean Szymkowski April 17, 2019 Comment Now! Honda's Performance Manufacturing Center in Marysville, Ohio, builds the NSX supercar, and now it is applying its magic to the TLX sedan and MDX crossover SUV. 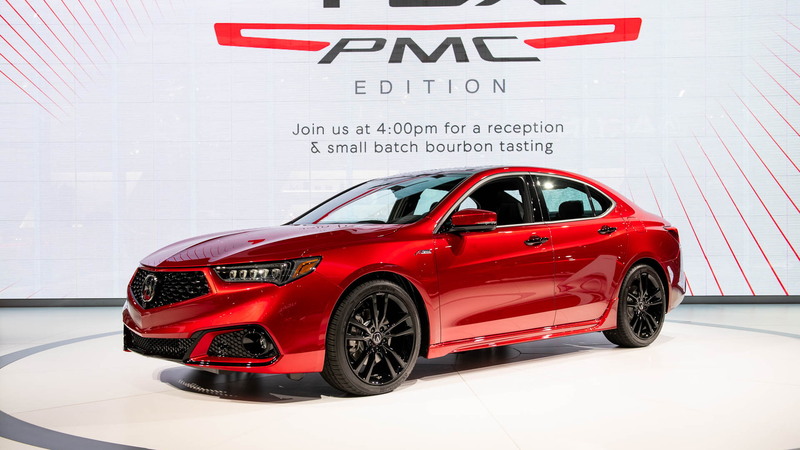 On Thursday, Acura revealed the 2020 TLX PMC Edition ahead of the 2019 New York International Auto Show. The car will be hand-assembled at the Performance Manufacturing Center and undergo the same quality paint treatment as the NSX. It will also get a few styling features to play off its lustrous paint. 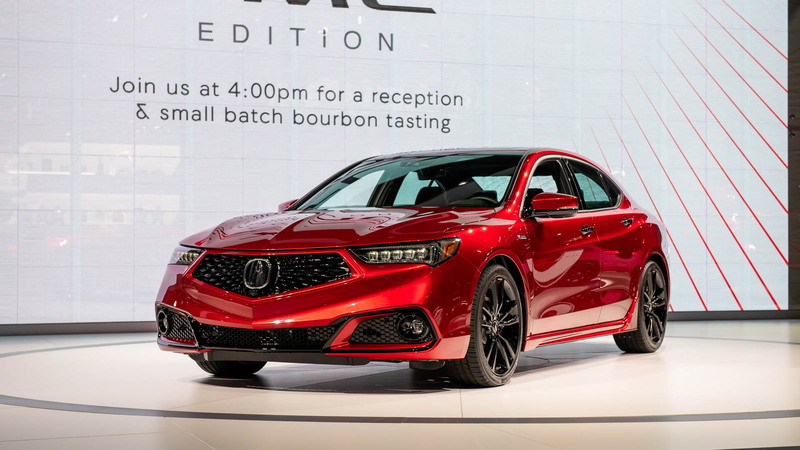 The TLX PMC Edition will come first. The special edition car is finished in a solvent-based Valencia Red Pearl exterior color with the same paint technology and processes that go into the NSX. The regular TLX has a water-based paint. Honda's luxury brand said it's the most vibrant paint the company has ever put into production with nano pigment technology. Previously, the process and technology was reserved for the NSX. The color features mica, metal flake, and super-high transparency nano pigments. Once the TLX PMC Edition arrives as a body-in-white at the facility from the Marysville Auto Plant less than a mile away, a robotic paint system applies multiple base coats of the color. Then, robots apply two clear coats for a deep gloss. PMC employees conduct a final paint inspection after the five-day-long paint and curing process. The normal paint process takes a day. PMC technicians then hand-assemble the car starting with the drivetrain and chassis components. Next, wheels, tires, and exterior trim are installed, and finally the interior is assembled. Aside from the brilliant red color, PMC Editions feature a body-color grille surround, a gloss black roof and door handles, and a set of gloss black 19-inch wheels. Body-color mirror caps get the same brilliant red paint, and 4-inch black exhaust tips poke out of the rear bumper. Inside, the car is trimmed with Milano Black leather Alcantara upholstery. Red stitching echoes the red exterior color on the seats, door panels, and armrest, while the steering wheel is wrapped in leather with the same red stitching. 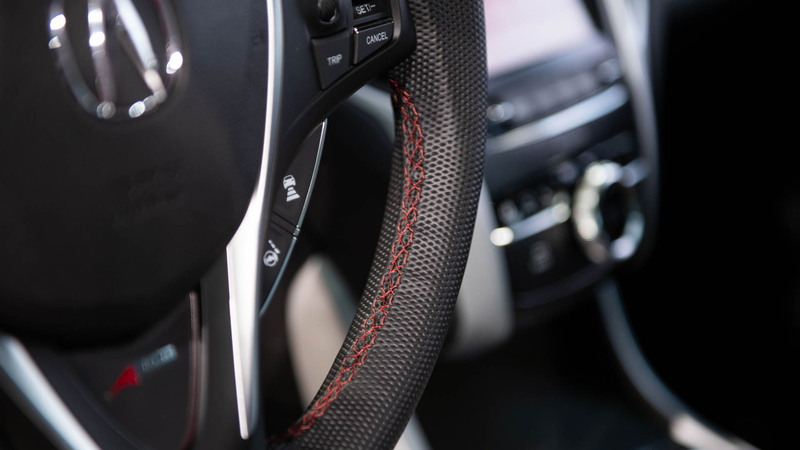 The PMC Edition also gets metal steering wheel paddle shifters. 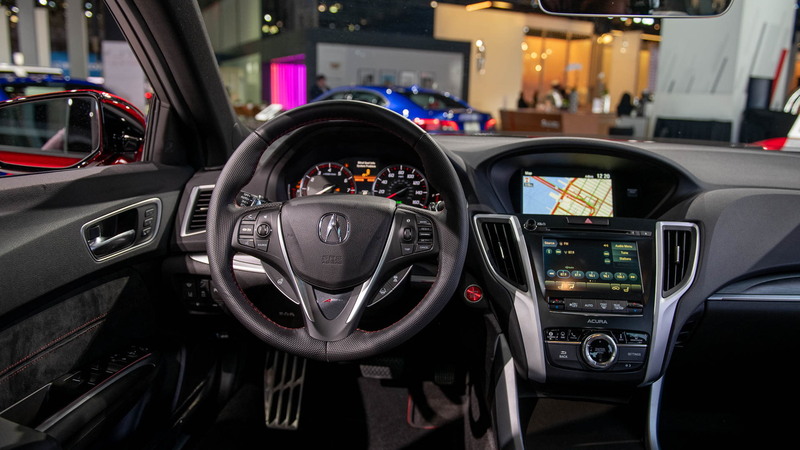 Each of the sedans is equipped with the A-Spec and Technology Packages, the optional V-6 engine, and Acura's Super Handling All-Wheel Drive system. The price isn't finalized, but Acura estimates a price around $50,000. A look at current prices shows a maxed out TLX with all that equipment costs about $50,000, so this limited-edition car, with its very cool paint, could be something of a bargain. Look for the PMC Editions to arrive at dealers starting this summer in a covered car carrier with its own special car cover. Each car will undergo a dyno check, final paint inspection, a rough-road simulation, and a water leak test. Acura rep Chris Naughton told Motor Authority that the plan is to build 360 TLX PMC Editions over the course of six months then move on to the MDX. He also said the company will explore other limited-edition models as the PMC facility was built to create special projects. The TLX PMC Edition will appear next week in New York, as will a prototype version of the MDX PMC Edition. For more from New York, check out our dedicated hub.